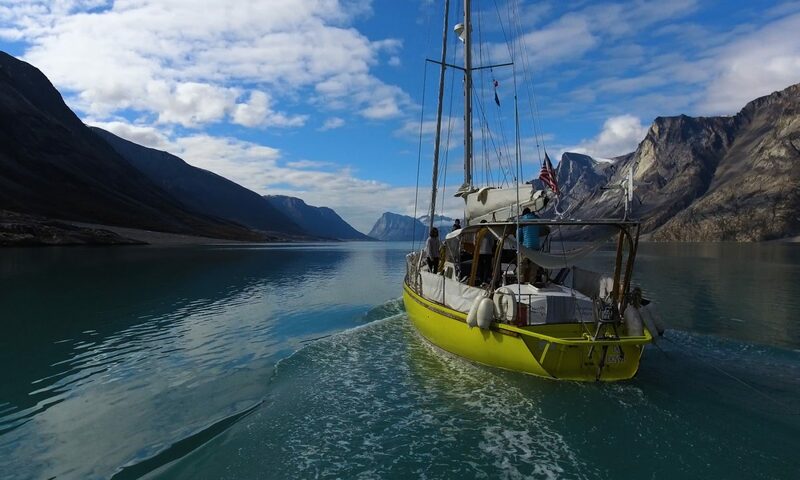 August 12: tides in the fjords of Greenland run the show. They are much more predictable than the imaginary south winds of our former weatherman. Land at last: Greenland !